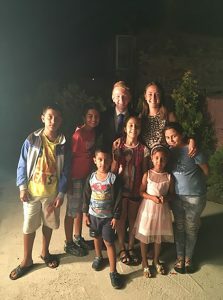 A young missionary shares how God is working in Bulgaria. 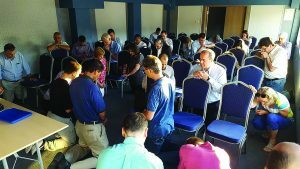 A couple of months ago, God opened the door for me to evangelize in the country of Bulgaria with a group of pastors from the Chesapeake Conference. Each pastor was assigned to a different church where we would present the evangelistic series. Reading more about my church assignment, I learned that it was a Roma church. The Roma churches consist of the Romani people which, in Bulgaria, are a very outcast people. Even within the Seventh-day Adventist church, the Roma churches are segregated from the Bulgarian churches. The Roma people have their own part of town, and many Bulgarians will not even go into those parts of town. Bulgarian the same age as me. Later, we visited the church I had been assigned to. The meetings started, and as the nights progressed, God blessed in powerful ways. The people were extremely open and excited to hear the Word of God. After each meeting, a line of people wanting prayer and asking questions waited. The Roma people came to our meetings by any way possible. Whether in horse carts, or by foot, the people filled the meetings up. We couldn’t fit everyone inside the small church, so our meetings were held outside as God blessed with perfect weather. kilometers away from our destination, but were only going 5-10 mph up the hills. We began to pray aloud for God to get us to the meetings. Coasting down the hills as fast as possible, we gained just enough momentum to barely crawl our way up each hill. We continued to ride the momentum all the way into the city. We praised God as we pulled up to a red light only 10 minutes away from our destination. Just as we started to roll forward, the vehicle died. Being a manual transmission, this happened from time to time. But as one of the pastors tried to start the engine, the plastic part of the van key broke off, leaving the metal part of the key lodged in the ignition. We began to pray earnestly. Taking one of our pocket knives and sticking it into the ignition, our vehicle started. Praise God. I arrived at my church just in time. message to reach the hearers. We knew God was going to do something powerful that evening with the message of salvation. As I got up to speak, the music continued to blare. I started to speak, and suddenly the music cut off. I don’t really know why it took me by surprise because after all, that’s what we had prayed for. God blessed in a powerful way that evening as people made decisions with tears. 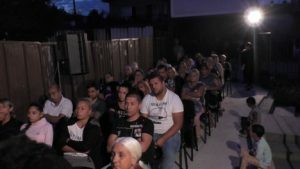 Over 25 new Romanis wanted baptism in just a small church of 40 members, and many others accepted Jesus as their personal Savior. God’s Spirit is on the move and working in powerful ways. I praise God that He could use me in His much bigger plan for Bulgaria. Let us be ready to serve Christ however, and wherever He calls us! Author: Caleb Johnson is a student and member of the Martinsburg Seventh-day Adventist Church in Martinsburg, West Virginia. Please pray for those who made decisions at the meetings that God would keep them faithful to the truth.